Be honest with yourself, the last thing that comes to mind when you think of New Jersey is quiet trout streams, beautiful rolling hills, and some really underrated fly fishing. Instead most people think of honking horns, obnoxious attitudes, and funny accents. I don’t mean to burst everyone’s bubble, but New Jersey is far from that in fact especially if you know where to look. 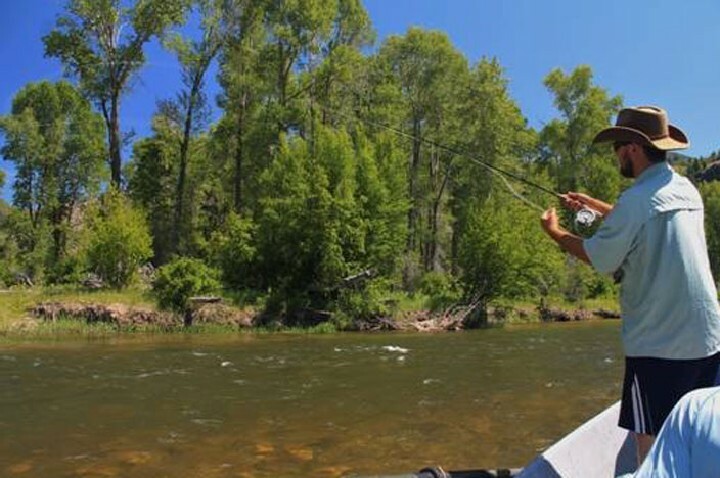 The state offers some excellent fly fishing with a very rich diversity of species. Do you like to catch trout? Well NJ boasts some great trout fishing including the chance at native brook trout! If trout don’t excite you the bass and pickerel fishery in NJ is extremely underrated and you don’t find the same amount of fishing pressure here as you do in some other states. And don’t forget the Jersey shore is only about a 2 hour drive from anywhere in the state which gives you the opportunity to chase a number of species right off the beach including Striped Bass and Bluefish. New Jersey has blessed me with some very unique opportunities to catch a wide variety of species. Fly fishing doesn’t have to be limited to just Trout and Bass, if it swims you can catch it with a fly rod. NJ offers a shot at some really awesome species like American Shad, Muskellunge, Carp, and Bowfin. The best part is all of the places to find these species of fish are relatively close to each other. Not only that, but some of the places you go to find these species make you forget you’re even in New Jersey! There are times when fishing that I have to remind myself I’m actually in NJ and not somewhere out West. Now not all of the state is a picturesque beautiful place, but there’s enough places to escape and get some opportunities at some unique big fish. New Jersey doesn’t offer the same allure as swinging for steelhead out West or dry fly fishing the Catskills, but it deserves respect and is truly an underrated fishery. The Northwest part of the state has some great fishing without having to travel all over the place. You can catch Muskies, Bass (both LMB & SMB), Pike, Brook Trout, Walleye, and Shad all within an hour drive of most places. That’s a pretty heavy lineup and you could spend hours trying to learn how to catch each one. A good place to start your search if you want to fish New Jersey would be the Delaware River. The Delaware River runs the entire length of New Jersey until it dumps into Delaware Bay so there’s plenty of water to fish no matter where you are in the state. The Delaware offers a wide range of species including Stripers, American Shad, Walleye, Smallmouth, Muskellunge, and Trout. For the bigger fish in the river like Muskies and Stripers I’d recommend a 10wt to give you the muscle to safely fight and land the fish in a fashionable time. I use an 8’3” Redington Predator teamed with a WF10F Rio Outbound Short for the big wind resistant flies Muskies and Stripers love so much. When I need to get deeper the Airflo Sniper 40+ in Sink 7 will do the trick for the deeper water. For the Shad and Trout a 9’ 5-6wt will be about all you need. Most of the fish you catch won’t be over 4lbs so no need to go overkill on too heavy of a rod. A good line for the smaller setup is the Wulff Triangle Taper line. It can roll cast nymph rigs, big streamers, and it fishes well in all kinds of conditions. I pair this line with a Redington Torrent which tosses the line nicely and can handle a lot of situations. If a big river isn’t your speed and you prefer smaller rivers with great trout fishing then you’ll want to look into rivers like the Pequest River, South Branch of the Raritan River, and the Paulinskill River. These rivers boast some gorgeous scenery along with some excellent trout fishing especially in the months of May and June. I’ll fish the 5wt I mentioned above usually combined with the Wulff line when I want to nymph and toss some streamers around. If I need a lighter presentation I’ll usually switch lines out and use the Rio Gold which offers me a little more finesse for when the fish are picky. 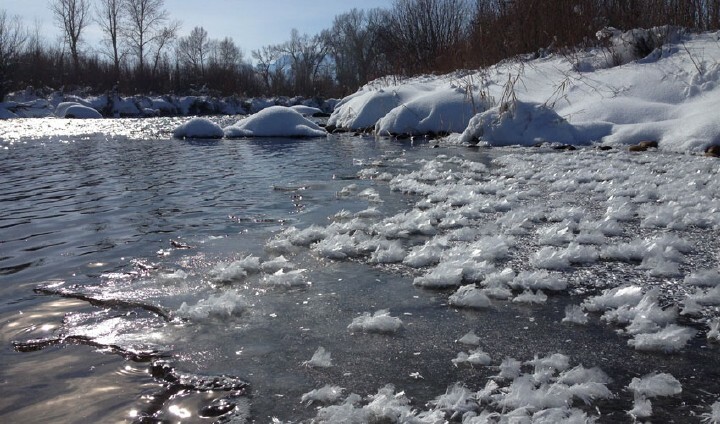 You can catch trout on a variety of flies with some favorites being stoneflies (sz 10-14), clown eggs (sz 10-14), prince nymphs (12-16), grey ghosts (4-8), and squirmy wormies (10-14). These just happen to be the flies I prefer to use, but almost any will work! For everything in between like Pike, Bass and Carp a 9’ 8wt will be more then fine. Both the Rio Outbound and Airflo 40+ are great lines for Pike, Bass, and Carp that cover all types of applications whether it be topwater, streamers, or big jigs. You can find Bass, Pike, and Carp in places like Spruce Run Reservoir which offers some good fishing. The Passaic River hosts some great opportunities at some nice Pike and Carp. Greenwood Lake, Lake Hopatcong, and Round Valley Reservoir all have a great population of both Largemouth and Smallmouth Bass. So maybe the next time you’re in New Jersey for work, passing through on a road trip, or going to visit family you may want to pack a fly rod or two. You may be surprised at not only the beauty of the state, but also the excellent fly fishing opportunities it has to offer. New Jersey will surprise you once you take the time to explore and you may even be rewarded with some big fish! Do your due diligence and don’t forget to carry out what you carry in! It’s important to keep our waterways clean and healthy so future generations can reap the same benefits we are able to. Don’t forget to follow me on Instagram @luke_flywalker19 to see more of New Jersey and all it has to offer!